You are purchasing 1 1/2 hanks of Preciosa traditional Czech glass beads. 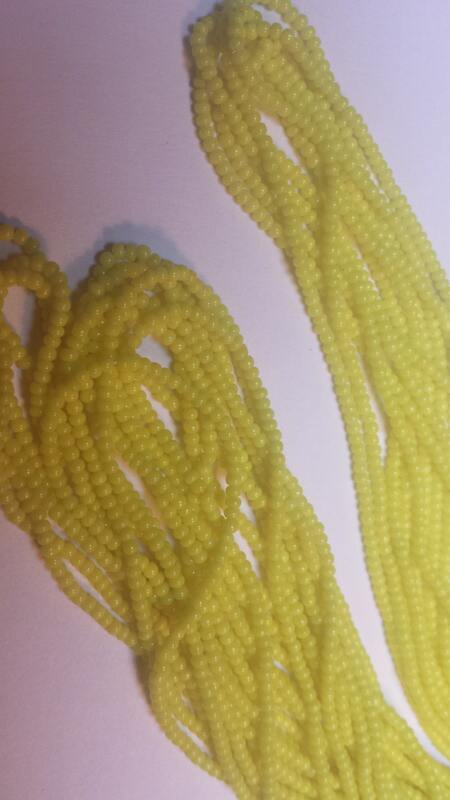 These beads are renowned for consistent size and exceptional color that will not fade over time. The knowledge and long experience of its glass makers, combined with its unique modern technology, result in superior production of a wide range of colors and sizes. Many of the world's most highly esteemed jewelry and loom work pieces have been created by using Preciosa Czech seed beads.